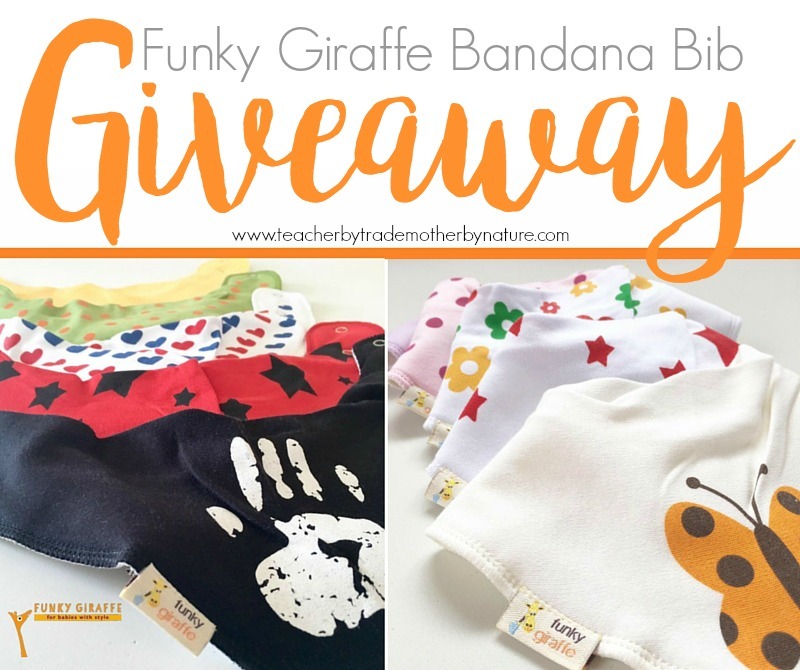 Funky Giraffe have a huge range of bib styles, colours and patterns, in fact you can even personalise your own. How cool is that? They also sell burp clothes, socks, scarves, scratch mittens and shoes. 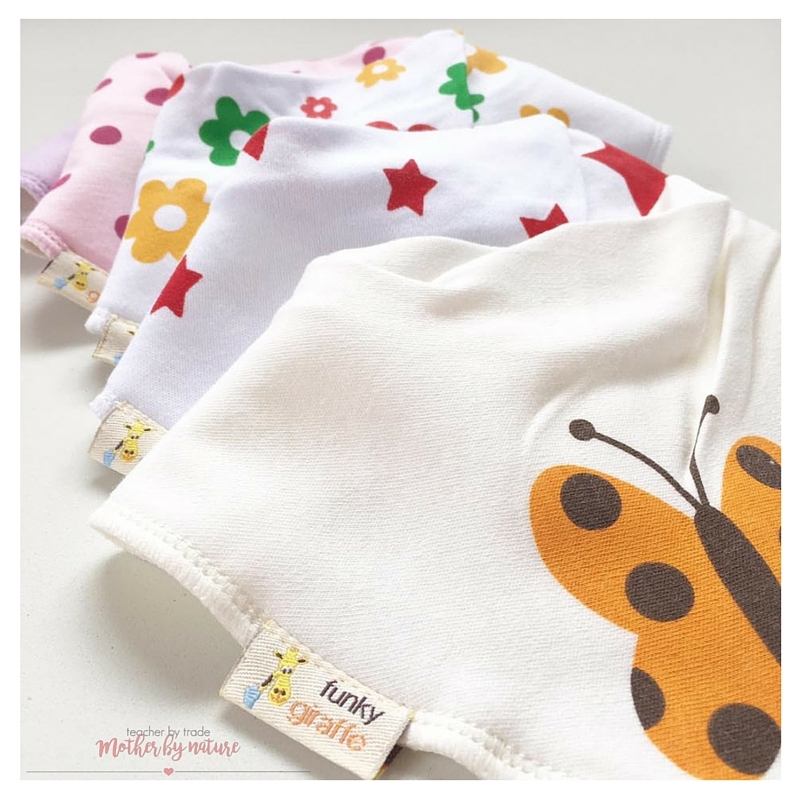 The Funky Giraffe bandana bib range are 'perfect for the fashion-savvy baby and toddler'. 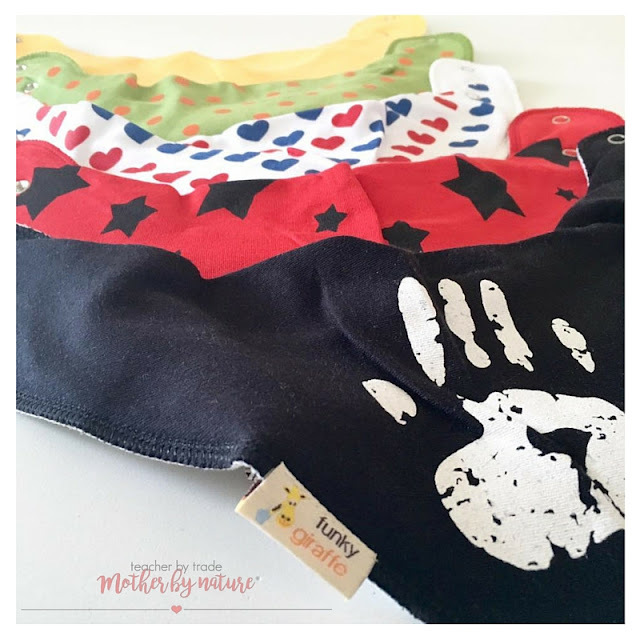 They are soft to the touch with 100% cotton on the front and are lined with fleece backing, to keep dribble from soaking through. They also have double poppers which mean you can adjust the fit. 2. Teacher by trade, Mother by nature reserves the right to amend or cancel the competition, and/or the terms and conditions at any time. 3. Teacher by trade, Mother by nature reserves the right to verify entries and disqualify incomplete, altered, illegal or illegible entries. No responsibility will be accepted for entries lost or delayed. 4. Teacher by trade, Mother by nature is not liable for any person’s inability to complete entry, and no responsibility will be taken for technical, telecommunication or website errors – proof of entry is not proof of receipt. 5. The winner of the competition will be notified on Facebook – please check the original competition post for the results of the competition. 6. Teacher by trade, Mother by nature’s decision on the winner of the competition is final, and no correspondence will be entered into. 7. This competition is not sponsored, endorsed or administered by, or associated with Facebook. 8. The prize must be claimed within 5 working days or it will be forfeited and another winner will be chosen.